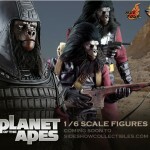 Sideshow Collectibles has a new preview image showing some of the upcoming Planet of the Apes figures. 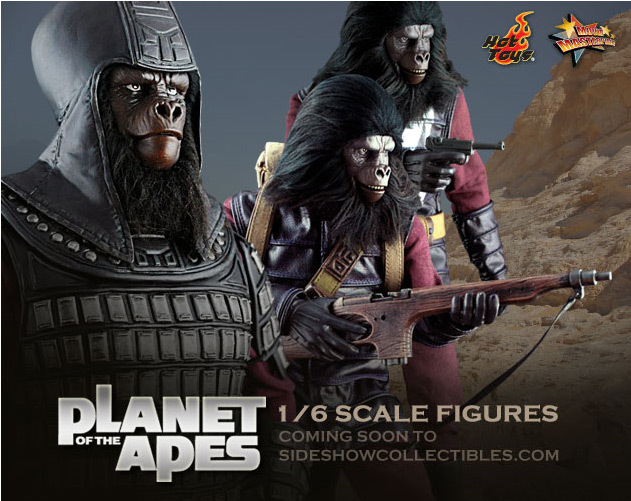 The figures are being created by Hot Toys and are set to be 1/6th scale. You can click the thumbnail to the left for the full-size image. If I had to choose one figure, I guess that'd be Ursus. Is the coolest of all apes. Man, how I hated that guy when used to watch the series as a kid! Too bad I'm behind on so much Hot-Toys stuff right now.